The Cataraqui Region Conservation Authority has released a new watershed report card as a big-picture summary of current conditions in the region. The report card tracks and reports on Groundwater Quality, Surface Water Quality, Forest Conditions and Wetland Conditions within the Cataraqui watersheds. 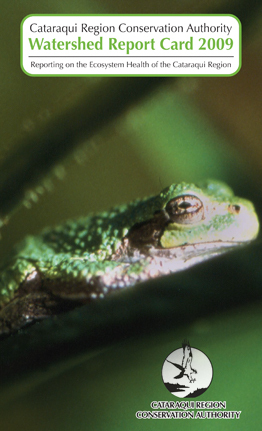 Ontario’s Conservation Authorities report on watershed conditions every five years. The report cards use Conservation Ontario guidelines and standards developed by Conservation Authorities and their partners. Why report on watershed health? Watershed monitoring allows Conservation Authorities and partners to better target programs and measure environmental change. 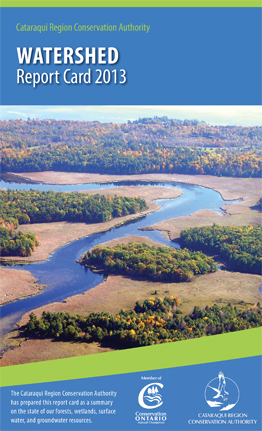 The report also help identify environmental problems and issues within local watersheds and identify specific areas that need protecting or restoring. Conservation Authorities address issues and concerns identified in watershed report cards through local programs often in partnership with landowners, other agencies, community groups, municipalities and other government agencies. 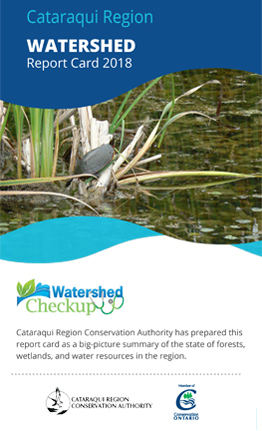 Visit www.watershedcheckup.ca to see the collection of report cards from other Conservation Authorities. What are our region's priority concerns? What can your community do? What can you do? Be a watershed steward!